These are beautiful males with excellent conformation and fiber qualities - see details for each on their webpage links below. 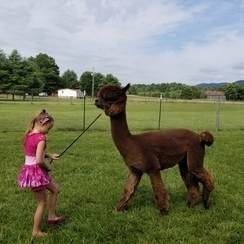 All have been halter trained and 2 of the 3 have been shown. These are gentle guys with pleasing personalities that have been housed together. Epimetheus is not registered.